Food, drinks, hiking, and land trusts: Is there a better way to spend a Saturday? Each year, as we welcome another glorious Wisconsin spring, we invite you to our annual Land Legacy Gathering. This event is a celebration of the incredible impact that Wisconsin land trusts have on local communities, as well as all the ways those communities (you!) make it possible for us to continue Wisconsin’s incredible land legacy. It’s a celebration of the ways we are all making a difference, advancing the land trust movement locally and statewide. Our event co-hosts: the Ice Age Trail Alliance and Chippewa County Land Conservancy, played a key role in the protection of the Krank Nature Preserve. To make this year’s event extra special, we are partnering with land trusts throughout the northwest region of the state. 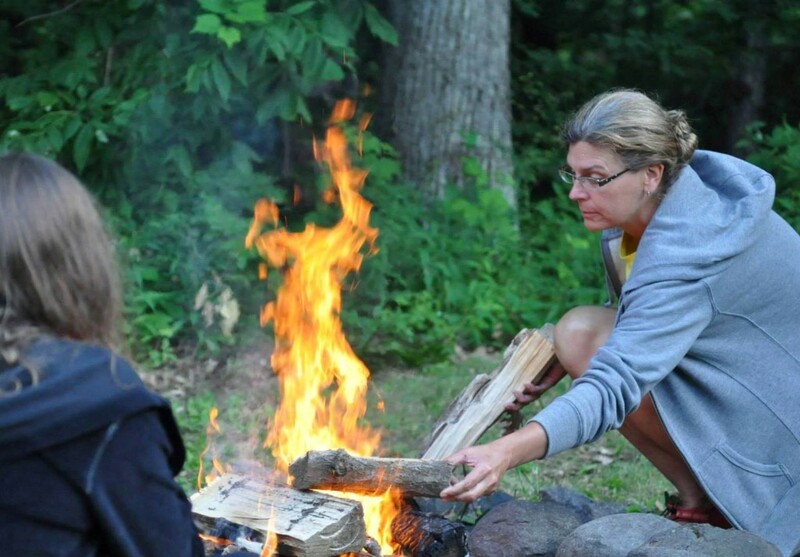 Our 2014 co-hosts are the Chippewa County Land Conservancy (CCLC) and the Ice Age Trail Alliance (IATA). These two land trusts played a huge role in the protection of the Krank Nature Preserve (the beautiful location of this year’s event) through their collaborative efforts with a pair of landowners (Bernard & Beverly Krank), the Wisconsin Department of Natural Resources, and the National Park Service. Chippewa County Land Conservancy’s mission is to preserve the scenic quality, rural character and natural landscape of Chippewa county. The Ice Age Trail Alliance’s mission is create, support and protect a thousand-mile footpath tracing Ice Age formations across Wisconsin- the Ice Age National Scenic Trail. Because of these two land trusts’ hard work, dedication and collaboration, the Krank Nature Preserve is just one of many special places that will remain an undeveloped part of Wisconsin’s heritage, forever. This event features a hike and reception on the Krank Nature Preserve. Bayfield Regional Conservancy‘s mission is to protect the natural lands, waters, forests, farms and places of scenic, historic, and spiritual value in the Bayfield Region. Kinnickinnic River Land Trust‘s mission is to work with the community to protect the natural resources and scenic beauty of the Kinnickinnic River watershed. North Central Conservancy Trust‘s mission is to protect, worthy scenic, working lands and environmental resources for the benefit of the people of central Wisconsin. 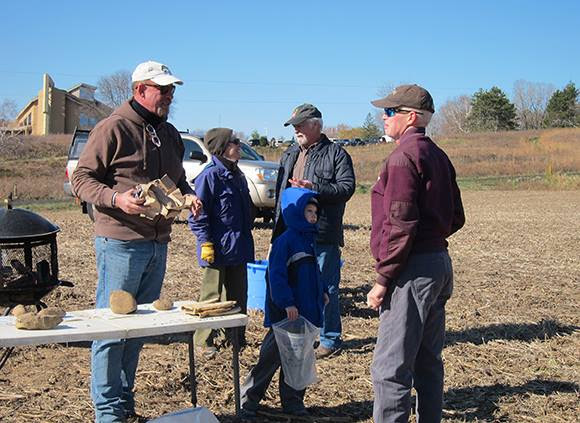 Standing Cedars Community Land Trust‘s mission is to establish a farm and river greenway that can demonstrate a model for protecting and restoring field and forest, and supporting community life along the lower St. Croix River. The Conservation Fund‘s mission is to save land for future generations. The Prairie Enthusiasts‘s mission is to ensure the perpetuation and recovery of prairie, oak savanna, and other associated ecosystems of the Upper Midwest through protection, management, restoration, and education. Trust for Public Land‘s mission is to bring land to people. West Wisconsin Land Trust‘s mission is to promote land conservation of family farms, forests, wetlands, rivers, lake shores, bluffs and prairies in Wisconsin. Let’s gather to grow the community of people protecting the places that make Wisconsin special! More information about this event is available on our website. Space is limited, so if you’re interested in attending, please be sure to RSVP by April 28. We hope you’ll make plans to join us as we gather to grow the community of people protecting the places that make Wisconsin special. Over 165 students and staff members from Gibraltar Charter School, Lodi Elementary and Ouisconsing School of Collaboration participated in the Ice Age Trail Alliance’s service-learning event, which focused on building new Ice Age National Scenic Trail, leading to the bluff of the iconic Gibraltar Rock. Students used the tools of the trade as they handcrafted exemplary hiking trail and restored native landscapes. Safety was a top priority for the event – Lodi students participated in up to two days of work without incident, staying true to priorities. Participants worked hand-in-hand with volunteers from across the Upper Midwest, reaching across generations, social stratification, and schools for a common cause. Such excellent models of respect, patience, collaboration and work ethic were exhibited by both staff and students, that the event was a complete success. This was a great opportunity for a number of young Wisconsinites to create a relationship with the land as well, learn important lessons and perform an invaluable service for their own community. Thank you Ice Age Trail Alliance, for providing such an excellent opportunity for these future leaders to get out and make this special place their own! We’re proud to say that our support of Wisconsin’s land trusts helps make great ideas like this one, a reality. With so much focus on jobs and the economy right now, one bright spot is the outdoor recreation industry. Nationwide, Americans spend $646 billion on outdoor recreation, according to a new study by the Outdoor Industry Association. Here in Wisconsin, outdoor recreation generates $11.9 billion in consumer spending; 142,000 direct Wisconsin jobs equaling $3.6 billion in wages and salaries, and $844 million in state and local tax revenue. Wisconsin’s 50 land trusts help to support this burgeoning part of the economy by working with communities to provide the places and the amenities for people to connect with the outdoors. One great example is the Ice Age Trail Alliance. 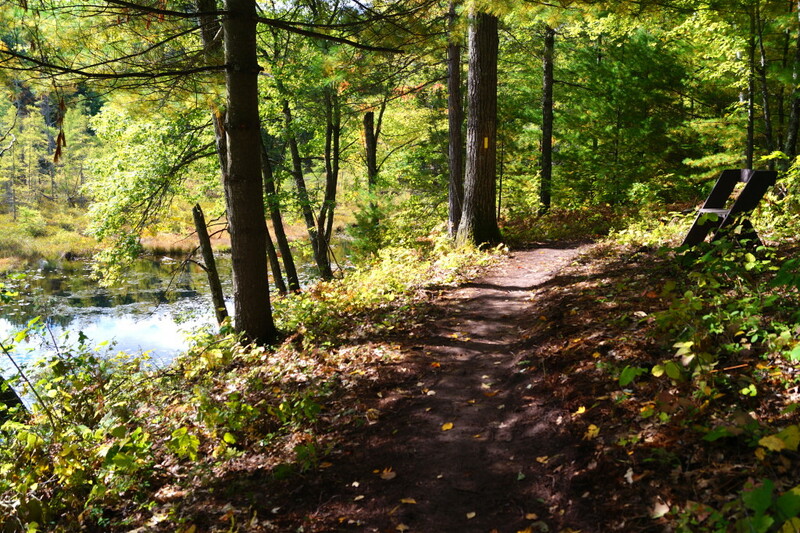 In 2012, the Ice Age Trail Alliance together with the Wisconsin Department of Tourism and other partners undertook a survey of Ice Age Trail users and businesses along the trail. Researchers determined that the Ice Age Trail draws an estimated 1.2 million visitors every year, and Trail users contribute approximately $113 million annually to statewide and local economies. The full report can be found here. Special places, like the one shown here along the Ice Age Trail, draw thousands of visitors each year, contributing to local economies and providing the high quality of life that we’ve come to expect in Wisconsin. The economic impact of land trusts’ work doesn’t stop with outdoor recreation. Industries in Wisconsin such as the $22 billion forestry industry and $59 billion agriculture industry are also supported by land trusts as they help willing landowners protect working landscapes throughout the state. For example, in early 2012, the Conservation Fund worked with Lyme Timber and the WI DNR to complete the largest working forest conservation easement in Wisconsin history, the Brule-St. Croix Legacy Forest. This project, which leveraged funding from the state’s Knowles-Nelson Stewardship Program, will ensure that nearly 70,000 acres of timberland will remain in production, while providing public access for recreation, among other public benefits. At Gathering Waters Conservancy, we recognize the many ways that land trusts help to support local communities and the economy, which is why we work so hard to make land trusts stronger organizations and to make sure that they have the tools and the public and private resources to accomplish their goals. New horizons are also ahead for the Alliance as registration is now open for their 2013 Mobile Skills Crew events. 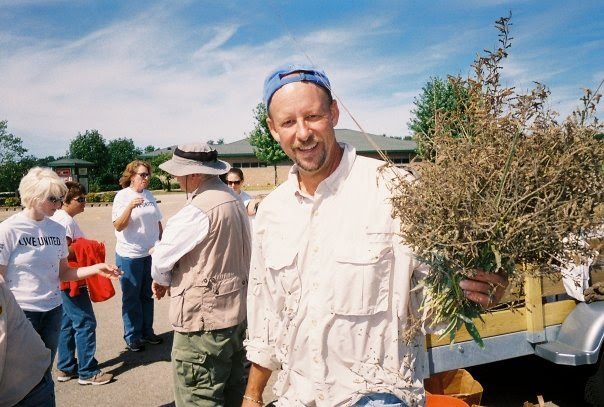 These are fun and rewarding events at which volunteers help build and maintain trails. Mobile Skills Crew opportunities offer a chance to give back to the outdoors while spending quality time within it. Previous trail construction background is not required and scheduling is extremely flexible. GWC Executive Director Mike Strigel building trail along side IATA Executive Director Mike Wollmer at a Mobile Skills Crew event in Polk County. Exciting new research findings about the Ice Age Trail are also soon to be unveiled! Over the past year the Alliance, along with the Wisconsin Department of Tourism and other partners, have been looking into how the public sees the Ice Age Trail. Along with input from a trail user survey, researchers from the University of Wisconsin-Whitewater interviewed users out on the Trail and polled businesses near the Trail in order to understand what people seek when they take to the Ice Age Trail. These findings will be helpful in the future to develop more effective promotions, provide guidance in creating outreach programs, and inform publications that come out of the main office. With all of these exciting endeavors the organization is growing and adding a new Trail Program Specialist position. The Trail Program Specialist will work collaboratively with staff, volunteers, government agencies, and private partners to sustain and increase the IATA’s organizational capacity to execute high quality on-the-ground construction and maintenance of the Ice Age Trail. All things considered 2013 looks like it will be another outstanding year for Wisconsin’s own National Scenic Trail. Our annual Land Legacy Gathering honors the people who make it possible for us to continue Wisconsin’s incredible land legacy, and offers attendees the opportunity to learn how their support is advancing the land trust movement, locally, statewide and nationally. Each year we hold the event at a different, significant conservation site in Wisconsin. In this, our fifth year of the event, we hope you make plans to attend – all are welcome! – and join us as we look back at the previous Gathering sites. The first ever Land Legacy Gathering, co-hosted by the Baraboo Range Preservation Association and the Aldo Leopold Foundation in 2008, was held at the Aldo Leopold Legacy Centerin Baraboo Wisconsin. The Aldo Leopold Legacy Center was built from pines planted by the Leopold family and is the first LEED Platinum, carbon neutral building in the world. The Gathering included a hike to the Historic Leopold Shack which was the Leopold family’s weekend retreat and served as inspiration for the writing, observations, and lessons of Aldo Leopold. In 2009, the Gathering was held at the Mequon Nature Preserve in partnership with the Ozaukee Washington Land Trust. The Mequon Nature Preserve is a groundbreaking example of a restored natural area in an urban/suburban community. Attendees hiked through the Preserve’s 438 acres of woodlands, wetlands, and open fields. Gathering guests enjoying a hike in the Kinni River Canyon, April 2010. In 2010, the Gathering was held at the Kinnickinnic River Canyon Property in River Falls and co-hosted with the Kinnickinnic River Land Trust. The Kinnickinnic River flows through 96,000 square acres and the protected area includes creeks, springs, wetlands, fish and wildlife habitat, native plant communities, rare and endangered species, bluffs, coulees, and family farms. The event involved a guided hike of the Kinnickinnic River Canyon ecosystem restoration project. The Ice Age Trail Alliance, based in Cross Plains, was our co-host site in 2011. 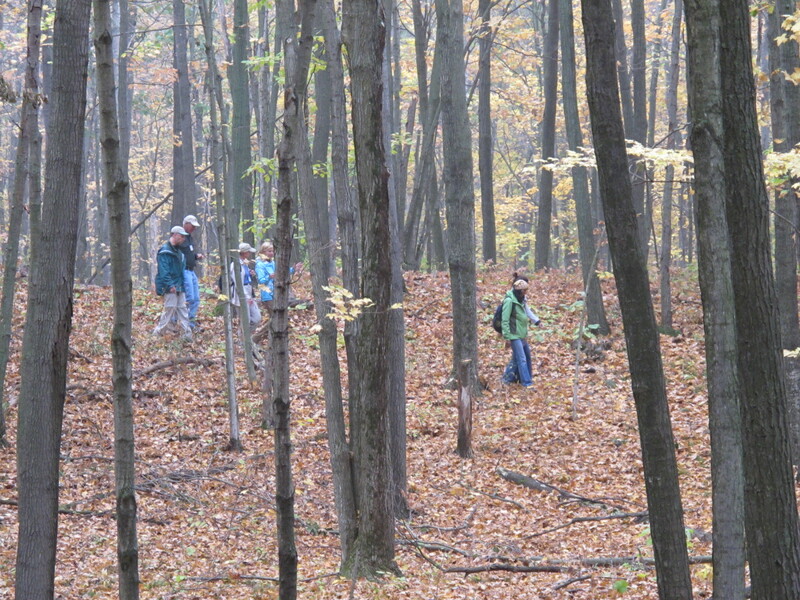 At the Gathering, guests were taken on a guided hike of the Table Bluff segment of the Ice Age Trail. The Ice Age Trail is a thousand-mile footpath, protected and managed by the Ice Age Trail Alliance, and highlights the unique features carved into Wisconsin’s landscape by a glacier over 12,000 years ago. This year, we are excited to announce the Beer Line Trail and Wheelhouse Property as the location for our 2012 Land Legacy Gathering. These are two of Milwaukee’s most significant conservation sites. The conversion of this once blighted site into a riverfront park is very special for urban dwellers, who now have improved access to additional green space in the city and the river valley system of trails. This year we have partnered with the Land Trust Alliance and are co-hosting the event with the River Revitalization Foundation. We look forward to another great turnout this year and are hoping for beautiful weather! For more information on this year’s event, please visit our website. Hope to see you all there! Baird Creek Winter Wonderland Hike – Discover the beauty of a snowy Baird Creek on December 17th at 1 pm at Christa McAuliffe Park. Join Dr. Mike Draney, professor from UW-Green Bay, as he leads you through the park and answers your questions about spiders, the effects of harsh weather conditions and anything else that comes to mind. 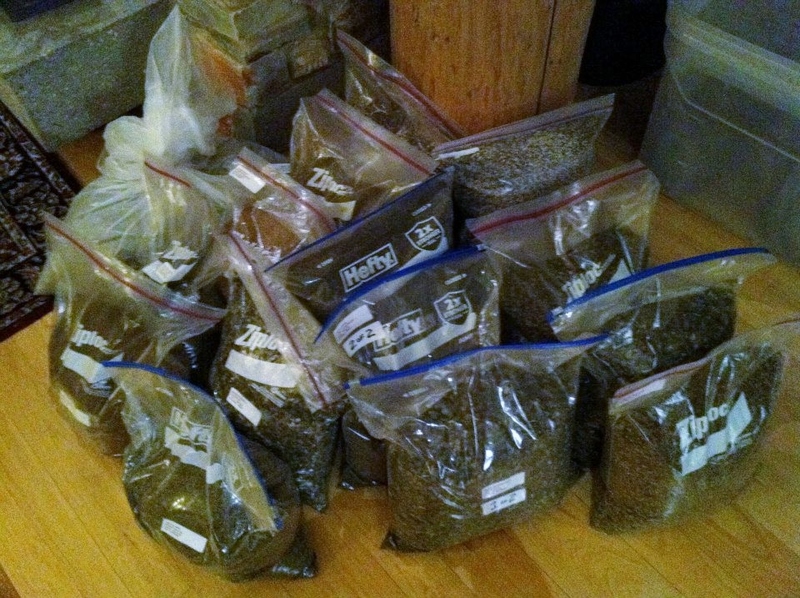 Ice Age Trail Alliance Restoration and Brush Burning – Winter is a great time to do savanna and prairie restoration. Enjoy the beautiful snowy landscape, and take breaks by the fire of a brush pile with the Dane County Chapter of IATA. You’ll have such a good time you’ll forget to be cold! The work will take place at Table Bluff at 9am. National Audubon Society’s Holiday Bird Count – From December 14 through January 5 tens of thousands of families and students, birders and scientists, armed with binoculars, bird guides and checklists go out on an annual mission to count birds. Many chapters across Wisconsin are taking part in the event. We hope to see out this winter enjoying the places that make Wisconsin special! We were so impressed by the field trips our member land trusts offered at the Land Trust Alliance’s Rally that we’re giving you a glimpse of the action. Last week we featured some gorgeous shots of the Ice Age Trail in the Northern Kettle Moraine State Forest near Parnell Tower and today it’s a trip along the Milwaukee River with the River Revitalization Foundation. Join the lucky Rally participants and see what this organization has done for the Milwaukee’s riverfront! The Milwaukee river basin was a bit windy but the weather was excellent, crisp and sunny. During the 2+ hour hike, we worked our way through a 2.5 mile loop from the east to the west bank, including stops at the Urban Ecology Center and Riverside Park. From this magnificent location, hikers walked back along the estuary to Milwaukee’s Ale House on the river for a beer and some cheer. These photos are part of a three-part series. Check back next week to see our final set of highlights from Rally in Wisconsin. Attending the Land Trust Alliance’s Rally gives us a few key reminders about our work. That we are here to uphold perpetual land conservation, that we have lots to learn from each other, and that our landscapes are stunning and worth protecting for our grandchildren’s grandchildren. If you were lucky enough to join in on a field trip with Kevin Thusius of the Ice Age Trail Alliance, you got to witness this scenery. These photos are part of a three-part series. Check back to see more of highlights from Rally in Wisconsin in the coming weeks.